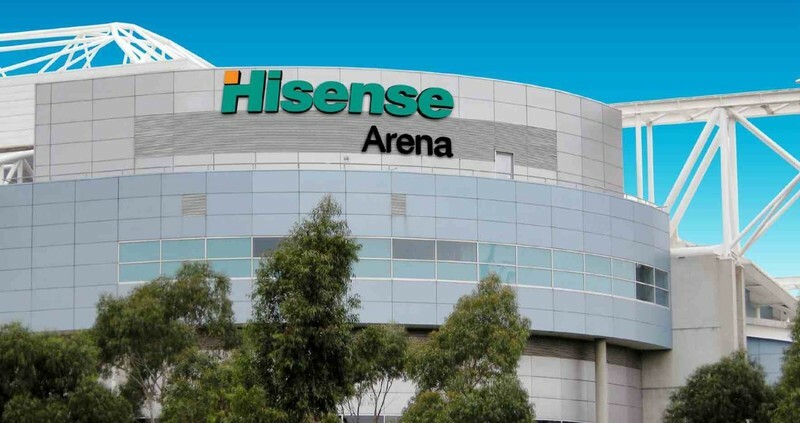 Built by Theiss Constructions at a cost of $65m, the multi-purpose arena was completed in 2000. Melbourne Arena (recently changed from Hisense Arena) extended Melbourne Park and its capacity to handle ever increasing tennis crowds, whilst also satisfying demand for another flexible multi purpose venue. This state-of-the-art indoor/outdoor facility can host a variety of sports, including basketball, tennis, boxing, gymnastics, dancesports and cycling in its own velodrome. A world class entertainment venue, Melbourne Arena holds an eclectic range of music concerts, family orientated performances, dance parties and in 2008, the Melbourne Comedy Festival Gala. 2015 Victorian State Schools Spectacular: What's Your Story?